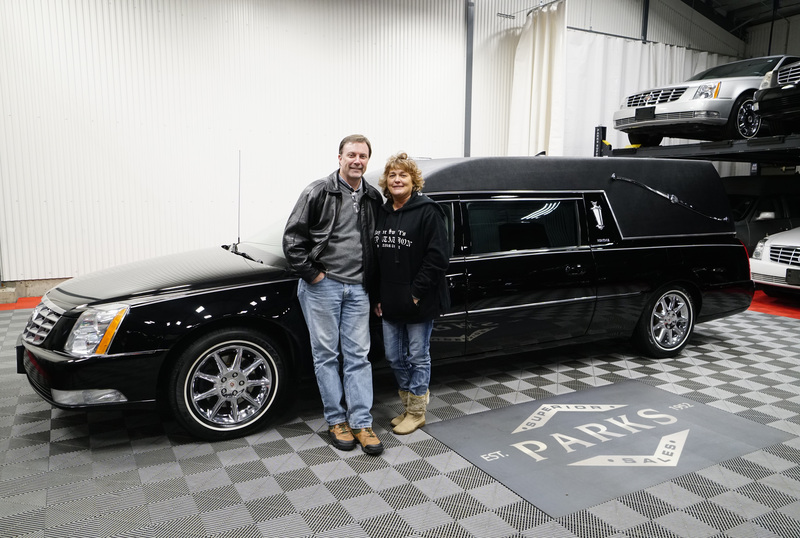 Randy & Darlene Bush from Hodges Family Funeral Home in Dade City, FL flew up to Parks Superior to pick up their 2011 Federal Coach "Heritage" Hearse. They wanted to see our facility as well as our showrooms in person and were astonished at the amount of care our people take with every car at our facility from sales, financing, service to detailing. "We are so glad to have seen Parks Superior, never seen anything like it". Tyler Russell was able to get the perfect car for them and hope they came back to see us for their next hearse or limousine. It's nice seeing our customers from all over come see us.